Ever Have Floaters in the Eye? HomeEye FloatersEver Have Floaters in the Eye? What are Floaters in the Eye? Once you notice them they are not likely to go away, especially on their own. They can and do get worse, but usually not to the point of needing to do anything about them. As a matter of fact, it is rare that people seek medical treatment for them once they understand what they are, because floaters in the eye generally don’t interfere with eye sight. The answer to that requires a little Ocular Anatomy (eye science). There are 5 basic parts to the eye. Lens – The focusing mechanism in the center of the eye. Cornea – The covering of the eye. Iris – This is the part of the eye determines how much light is let into the eye. Retina – Located at back of eye, where images are projected. Optic Nerve – Sends image to the brain for perception. Vitreous Humor – Liquid (gel) that fills eyeball. What Can You Do About Floaters in the Eye? Are they increasing in frequency and intensity? Are the floaters associated with pain? Many cases of Myodesopsia are not a serious threat or inconvenience to the sufferer. It is only noticed occasional and the occurrences are consistent and painless. The majority of Myodesopsia is benign. Most people who notice it never seek treatment, or see an optometrist and learn that it is likely not threatening, or harmful. Usually no further medical care is needed. Other cases of Myodesopsia are more serious and require medical attention; in some cases immediate medical attention to avoid blindness. What are the Floaters in the Eye Treatments? For moderate cases your doctor may prescribe eye drops in an attempt to keep the eye lubricated. 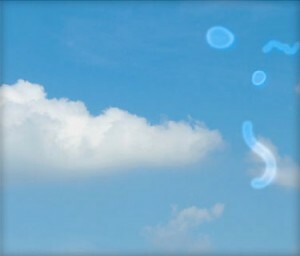 This allows blinking and as most Floaters move as the eye moves, it can aid in clearing your vision. In more severe cases, where there is pain or obvious vision impairment, the optometrist may perform one of the following procedures. Vitrectomy – Here the Vitreous Humor and by proxy, the Floaters in the eye are removed and replaced with a saline solution. It is very effective, but expensive and can lead to complications. Laser Victreolysis – Using a laser to burn or implode Floaters in the Vitreous. It is still expensive, but much less invasive and therefore less chance of complications. *WARNING: The following video shows an actual Vitrectomy, not for the squeamish! If you’ve ever had Floaters in the eye you know how bothersome it can be. But for most folks it is not a major problem, at least not major enough to seek treatment. But if you suffer from more severe Myodesopsia, then you will need to see your doctor and together you can decide on the best course of treatment for your Floaters in the eye. Which is NOT a treatment for Myodesopsia? True or False: The Lens covers the eye. What is a Floater in the Eye? Daniel Brown spent many years, and lots of his money dealing with Eye Floaters. He even went so far as to have expensive and potentially sight damaging laser treatment, after which he got an infection in his eye. To compound the issue, his Floaters in the eye came back. If you suffer from Myodesopsia then how can you NOT use this product? Not only is it safe and effective, but it costs hundreds of dollars less than more expensive and possibly complicated procedures like a Vitrectomy or Laser Therapy. At a cost less than $40, and a 60 day 100% money back guarantee, Daniel Brown’s, Eye Floaters No More is something those who suffer from Myodesopsia can’t pass up. Get it today and “see” what everyone is talking about. 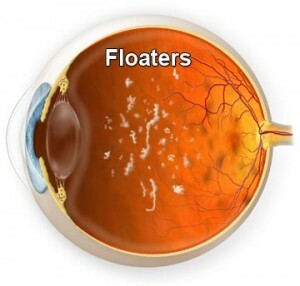 What is the Most Common Eye Floaters Treatment? Are There Floaters in Eye Sight? Is There an Effective Eye Floater Treatment? 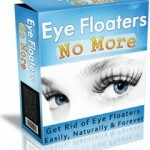 Is There an Eye Floaters Solution? Like Sid said, I thought floaters were a sign of something really wrong with my eyes. I’ve had them for as long as I can remember, though they seem to come and go. Or maybe they just float out of my usual range of vision. They’re not that bothersome though. Reading about how these things can be gotten rid of made me feel slightly ill. Sucking out part of the eyeball and replacing it with saline? That sounds like such a drastic operation. I hope my eye floaters never come back or get worse. When I first noticed floaters in my eyes I thought I had damaged the retinas or something. Of course I immediately started researching online to see if I needed professional help… or worse, had to put my name in for a seeing eye dog. I was so pleased to find your great information, especially the assurance it is not such a serious problem. Nonetheless, I will be trying “Eye Floaters No More” because now that I know the floaters are there I can’t stop looking at them, which I swear is giving me headaches. What is the Most Common Eye Floaters Treatment? Are There Floaters in Eye Sight? Is There an Effective Eye Floater Treatment? Is There an Eye Floaters Solution?